A geração de escaladores dos anos 90 foi marcada pela atividades extraordinarias de Dan Osman. As novas gerações pouco sabem a respeito deste ícone da escalada em rocha e desafiador constante dos limites do esporte. Com certeza muitos tentaram imita-lo, poucos tiveram êxito, muito se machucaram mas todos, absolutamente todos, ficamos boquiabertos com suas excentricidades, Dan Osman pode ser considerado sem modéstia como o ícone das atividades extremas. Den Potter foi o responsável pela produção de imagem de Dan, que ficou mundialmente visado no filme "Master of Stone 5". O desejo constante pela adrenalina o tornava inconsequente durante seus feitos. Imagine-se caminhando em uma parede totalmente vertical, pois foi isso que todos pensaram quando Dan escalou o Lover's Leap - Califórnia - em 4 minutos e 25 segundos. (duração média de escalada, 4 horas, para escaladores "normais"). Dan realizava quedas afim de avaliar a resistência do equipamento que ulitizava. Dan foi o criador do "Rope Freefalling", também conhecido como "Controlled Free-Falling", que consiste em saltar de grandes desfiladeiros seguro simplesmente por sua corda dinâmica. Em algumas destas quedas, ele experimentava o efeito pêndulo, termo conhecido entre os escaladores, que significa o movimento lateral que acontece quando o escalador cai e não está alinhado com as ancoragens abaixo dele. A partir daí, Dan começou a fazer pêndulos cada vez maiores, em pontes e em formações rochosas nos Estados Unidos. Fazia pêndulos de 50, 100, 200 metros. Dan realizou mais de 2000 saltos em nove anos para aperfeiçoar a sua técnica, Dan saltou de 342 metros da Pedra Inclinada, situada no Parque Nacional de Yosemite - E.U.A. - a preparação teve 4 dias de duração e em 22 de novembro de 1998 o recorde passou a ser o detentor. Como se não fosse o bastante Dan desejava mais, muito mais, 365 metros foi o limite de Dan, já no termino do dia Miles, seu amigo e companheiro de aventuras radicais ainda tentou alerta-lo sobre o risco de colisão com a copa das arvores, na região existem pinheiros com mais de 45 metros de altura e com tanta corda um choque poderia ser fatal, no entanto Dan insistiu, saltou para deixar saudade nos que o acompanhavam, e em Nikki Warren sua esposa e Ema sua filha. Não precisamos ser expertos para sabermos que o que matou Dan Osman foi o excesso de confiança no equipamento, todo escalador sabe que esta passivo de forçar as seguranças ao limite, e este foi o caso de Dan, o tempo de exposição do material e a energia extrema suportada pelo mesmo, causaram a morte prematura de mais um grande nome do esporte. No entanto fica o exemplo de dedicação e entrega total ao esporte, que Dan sirva de inspiração para todos os que se aventuram, mas lembremos sempre dos riscos. 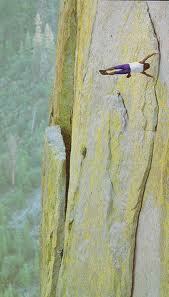 The generation of climbers in the year 1990 was marked by the extraordinary activities of Dan Osman. 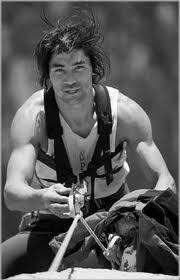 The new generations know little about this icon of rock and constantly challenging the limits of the sport. Certainly many have tried to emulate him, few succeed, most were injured but everyone, absolutely everyone, we were blown away with their eccentricities, Dan Osman can be considered immodestly as the icon of extreme activities. Den Potter was responsible for producing the image of Dan, who became world endorsed the film "Masters of Stone 5. 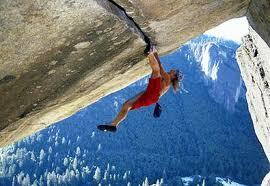 The constant desire for the adrenaline made him inconsistent during his achievements. Imagine yourself walking into a totally vertical wall, because that's what everyone thought when Dan climbed Lover's Leap - California - at four minutes and 25 seconds. (Mean duration of climbing, 4 hours, for climbers "normal"). Dan falls performed in order to evaluate the resistance of the equipment that ulitizava. Dan was the creator of "Rope Freefalling," also known as "Controlled Free-Falling," which consists of jumping big cliffs insurance simply by their dynamic rope. 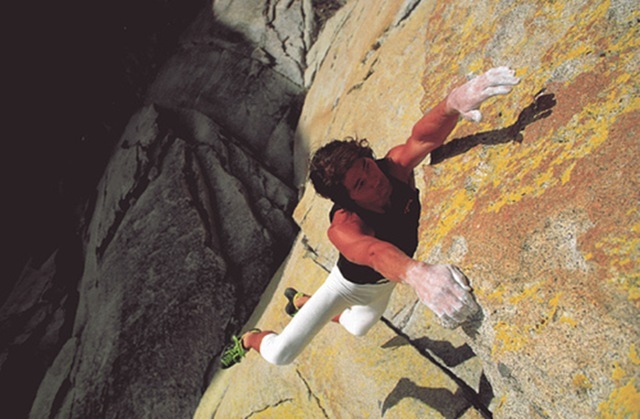 In some of these falls, he experienced the pendulum effect, a term known among climbers, which means the lateral movement that occurs when the climber falls and is not aligned with the anchors below him. From there, Dan began to make increasingly large pendulums, bridges and rock formations in the United States. Pendulums made of 50, 100, 200 meters. 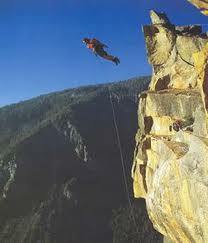 Dan completed over 2000 jumps in nine years to perfect his technique, Dan jumped 342 meters from the Leaning Stone, located in Yosemite National Park - USA - preparation had four days in length and 22 November 1998 the record has to be the keeper. If that was not enough Dan wanted more, more, 365 meters was the limit of Dan, as the end of the day Miles, his friend and fellow radical adventures even tried to alert him about the risk of collision with the crowns of trees in the region there are pine trees over 45 meters high and with such a shock cord could be fatal, but Dan insisted, has jumped to be missed in that attended him, on Nikki Warren and his wife Emma and their daughter. We need not be experts to know that what killed Dan Osman was overconfidence on the equipment, every climber knows that this passive force of the securities to the limit, and this was the case of Dan, the exposure time of extreme material and energy supported by it, caused the premature death of another great name of sport. However there is the example of dedication and total commitment to the sport, that Dan will serve as inspiration for all who venture out, but always remember the risks.